"Trepanation Instrument - 2" by Normadeane Armstrong Ph.D, A.N.P. Trepanation Instrument (E-3) also known as a trephine. Trepanation is perhaps known as the oldest form of neurosurgery. This instrument was used to bore a round hole in the skull and take a bone sample. 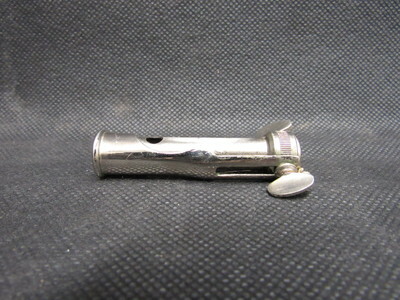 This instrument has two thumb screws which can regulate the depth.